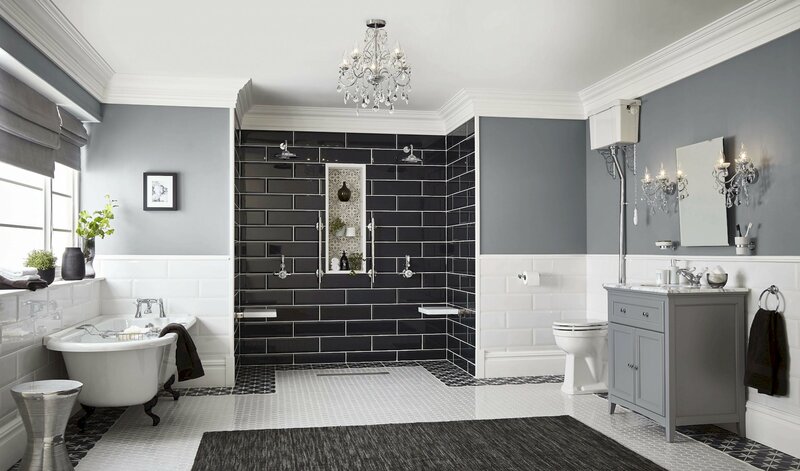 Your bathroom should be a haven of calming space to soak away the stresses of your day, but for many people it can be a forgotten, cluttered space. Here is our guide to getting it right and a look at some current trends. Whether you’re designing a new bathroom from scratch or simply revamping what you already have, it’s an exciting time in bathroom design. As with other rooms in the house, anything goes and it’s a great opportunity to stamp your personality on what is a very personal space. For some people, it has to be white all the way, with minimal accessories, masses of natural light and zero clutter. Others like to unleash their dramatic side with highly patterned wallpaper, paint in dark or jewel shades on the walls and moody lighting. Colour is something of a hot topic and, no, we don’t mean those awful avocado, brown and beige bathroom suites of the 1970s. Luckily, our tastes have evolved since then, and while white is still the usual colour of choice, using vibrant jewel colours on walls, floors and tiles will add the ‘wow’ factor. Even if you prefer to keep things minimalist and mainly white, spots of colour work well, from a hot pink orchid in a pot to a pile of vibrant purple towels. In fact, a current trend is colour-matching, where bath, basin, tiles and flooring all come from the same colour family. Multicoloured patchwork tiles are also ‘in’ and can be a striking complement to a white design scheme. 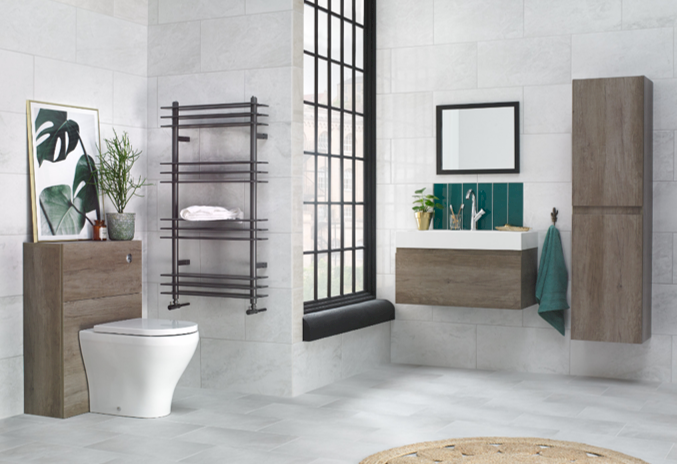 If your bathroom is small and you’re keen to keep things minimalist, a wall-mounted cistern and the basin are a good idea – which also means you can use the space under the basin for storage shelves or a cupboard. Or, if you are a shower fan, turn the whole room into a tiled wet room; many people are even doing away with the bath completely. 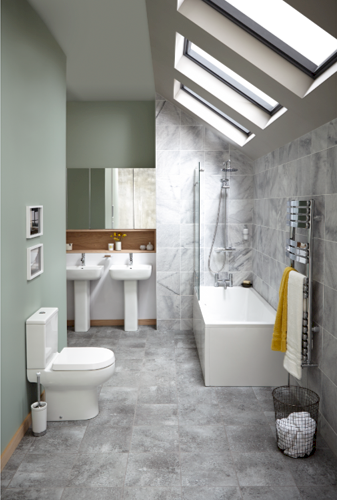 Like space, or the lack of it, light can be another issue in bathrooms, as they often have little or no natural light. Even if you are overlooked you can add a window with frosted glass or a skylight in the ceiling if you’re on the top floor. 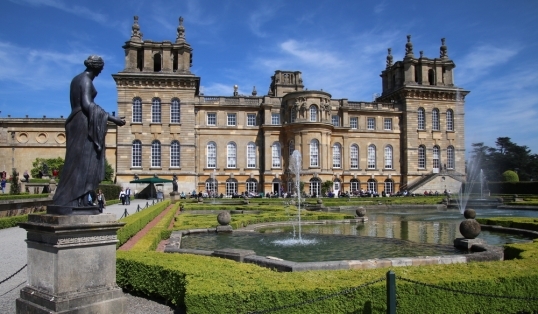 If you are lucky enough to have a window with a pretty view of a garden or trees, aim to position the bath so you can see this (as long as you are not overlooked, of course) – the green colours of nature are known to have a relaxing effect on us. Mirrors will also create an illusion of space and light. An important aspect of any bathroom is storage – sleek, clean lines are ruined by the clutter of shampoo bottles, toiletries and towels. The ideal way to deal with this is to install stylish shelving or a mixture of exposed and concealed storage, such as steel boxes or wicker baskets. Once the practical essentials are hidden away, you can add decorative touches such as plants (Aloe Vera and succulents in a glass bowl look good), scented candles in tea light holders and pictures. Exposed shelving is also a good place to display any luxury bath products with stylish packaging. Bathing, whether in a shower or a bath, is a soothing ritual designed to relax in the evening or energise in the morning. With this in mind, add a selection of aromatherapy oils to suit each mood: orange, grapefruit, mint and rosemary for a sharp-smelling wakeup call, and lavender, jasmine and rose geranium for an evening soak. 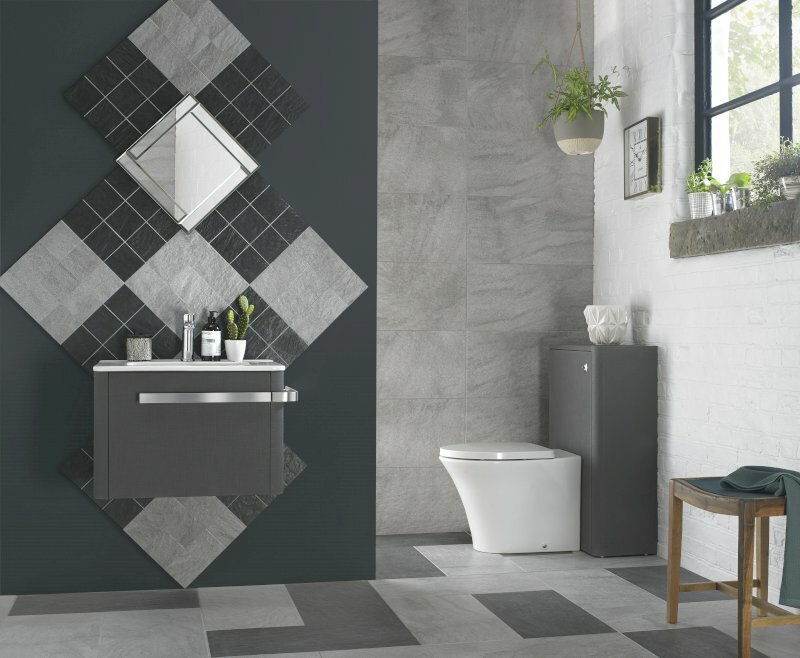 CP Hart is one of the UK’s leading bathroom specialists, and its site is a useful place for inspiration, offering buying guides and an online moodboard, while Bathstore has a free online or in-store design service, using the latest 3D software. 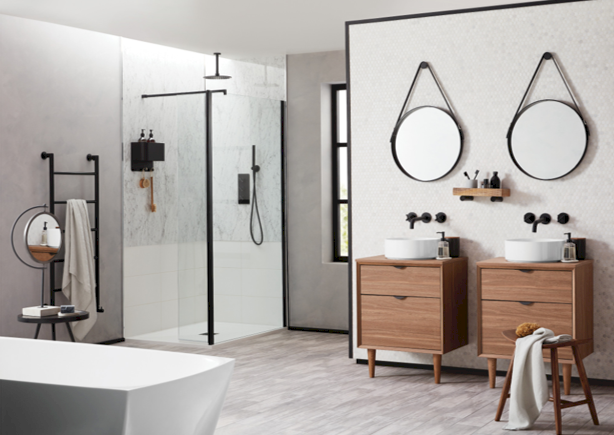 Warm neutrals: earthy beiges and putty tones bring a sense of warmth and comfort and pair perfectly with natural materials and finishes, such as wood grain and marble, whilstâ€¯black accents add a high-end contrast. Vertical horizon: tiles are being laid vertically for a new take on clean lines. Some pastel colours are appearing, too. Metallics: brassware finishes continue to make a striking statement, plus warm matt industrial finishes such as black, nickel and bronze. Multi-functional furniture: versatile freestanding furniture combines practical storage solutions, and integrated makeup and dressing tables are another popular choice. After-dark glamour: rich greens and vibrant blues matched with dark woods give maximum impact, matched with warm metallic and matt black taps. Powdered ceramics: lustreless baths and basins are popular, from muted dove greys to forest greens. A practical choice as they are less likely to show up marks – as well as being supremely tactile and stylish. In the end, though, whatever you choose has to reflect your personality and offer you and your family your own personal oasis of calm for cleansing and relaxation.